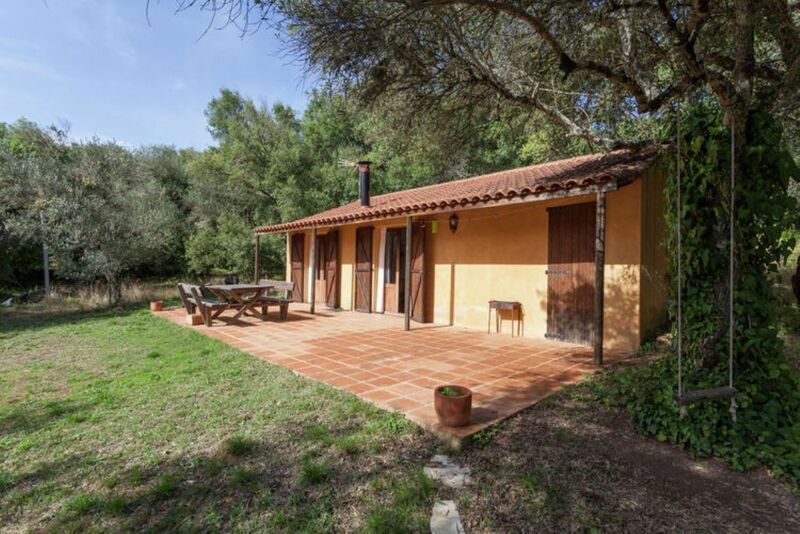 Two independent rural houses in a farm of 1 ha, surrounded by centuries-old oak and chestnut forests, a quiet and peaceful place to rest from the urban hustle and enjoy the contact with nature in an idyllic setting. A house with 3 bedrooms and two bathrooms, with 8 beds and another with two bedrooms and a bathroom and 6 beds, both have chestnut wood windows with double glazing and shutters, comfortable and functional modern furniture, spectacular views. The two houses have a large porch with outdoor furniture, barbecue, fireplace, fully equipped kitchen, privacy and good access at any time of the year.